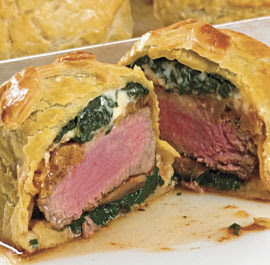 These delicious treats can be the perfect made in advance meal for the family. 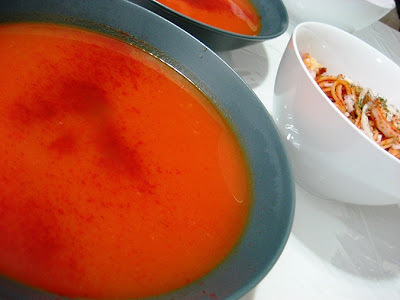 Enjoy a delicious spicy soup with this simple recipe. The perfect accompaniment to any meal, and it can be easily made in advance and stored for later. A unique freezable meal that you can even make one step a day. Perfect for if you want a gourmet meal without the gourmet effort. This simple yet delicious meal is easy to make, easy to store, and a great meal to eat through the week! A nice roasted chicken for Sunday supper is an American classic. 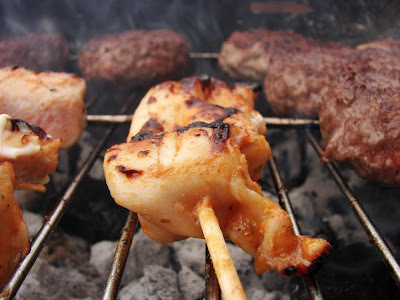 Unless you've planned the meal perfectly, however, leftover chicken is certainly going to be on your menu later in the week. I like to make a nice chicken salad with the leftover white meat, and use the bones and dark meat for stock and/or soup. 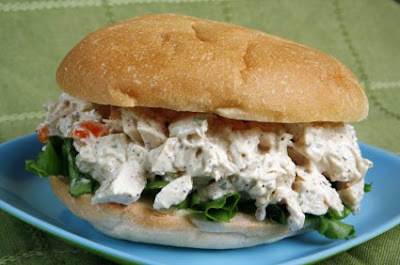 This chicken salad recipe is fresh and easy and and can be served over a plain salad for a light lunch, stuffed in pita bread, made into a chicken salad wrap or served on any bread or roll. In a large bowl, toss all of the ingredients except the mayonnaise and yogurt. Add the mayonnaise and yogurt and mix well. Place into an airtight container and refrigerate up to 3 days. Note: Do not freeze this recipe as mayonnaise tends to separate when frozen. Get more make-ahead sandwich recipes. 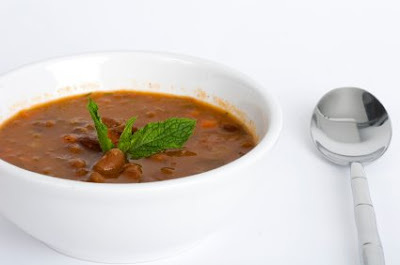 Minestrone -- the quintessential Italian soup. This is one of the few make-ahead soups that can be considered perfect for all seasons. It's also light (if you use defatted stock) for the health conscious and is perfect for using up fresh produce from your summer gardens. Minestrone tastes best when given a chance for the flavors to blend at least overnight, making this a great make-ahead dish. To keep the veggies fresh and flavorful, they are added just before serving. In a medium saucepan over mean heat, saute the onions, celery and carrots in the heated olive oil for approx. 5 minutes or until very lightly browned. Add the garlic and continue to cook for approx. 1 minute stirring constantly to ensure that the garlic does not brown. Add the chicken stock, tomatoes (with the juice) and kidney beans. Bring to a boil over high heat and let boil for one minute. Remove from heat and let cool. When fully cooled, transfer to a freezer-safe container leaving at least 1" of headspace. Cover. Freeze for up to one month. The night before serving, transfer soup in its container to the refrigerator to defrost. Put the soup back into a 3-quart saucepan and bring to a boil over high heat. Add in the escarole and orzo or ditalini pasta. Reduce heat to medium and simmer for 10 minutes. Add in the green beans and zucchini. Cover and simmer for 5 minutes or until the green beans are tender but not soggy. Serve topped with freshly shredded parmesan or fresh basil leaves. Great with a side salad and slice of crusty, grilled Italian bread. More soup and stew recipes. This recipe uses ground turkey to put a healthy spin on an old comfort food favorite -- meatloaf. Ground turkey is a wonderfully healthy substitute for ground beef, but because it is so lean, you have to make adjustments in the prepping and cooking or you'll wind up with a very dry final product. Here we use bacon wrapped around the meatloaf to keep it nice and moist. In a large bowl, add the ground turkey, garlic, rosemary, worcestershire, bread crumbs and egg. Use your hands to mix together lightly until well combined. Add in the green pepper and onion and combine. Divide mixture into four servings. Shape each into a mini-loaf shape. Wrap in plastic wrap and/or tin foil. Freeze for up to one month. Allow meatloaves to defrost overnight in the refrigerator. Preheat oven to 375 degrees. 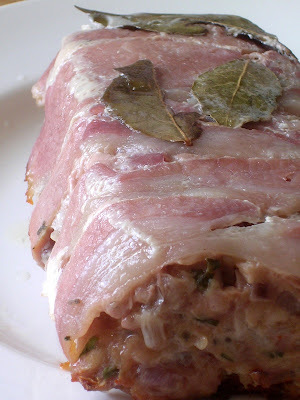 Using four of the bacon pieces for each meatloaf, wrap the bacon tightly around the top of each loaf. Place loaves on lightly oiled baking sheet and cook for 25 to 30 minutes, or until internal temperature reaches 160 degrees. 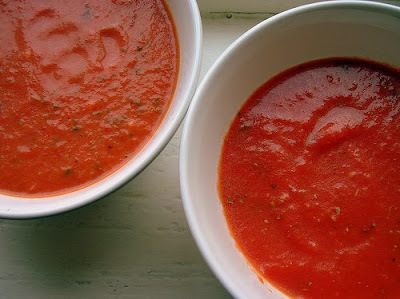 No freezer should be without at least one container of homemade tomato sauce ready to use. And no jarred or canned sauce will ever rival homemade. This version uses San Marzano tomatoes for the best flavor and quality in the sauce. In large heavy pot, heat the olive oil over medium-high heat. Add the onion, celery and carrots. Saute for about 5 minutes, or until the onion and celery are slightly translucent. Add the garlic, salt and pepper and saute with the veggies another 3 to 5 minutes or until the onion is translucent and the veggies are tender, being careful not to brown the garlic. Add in the tomatoes, bay leaves, basil, oregano and crushed red pepper. Simmer, uncovered, over a low heat until the sauce thickens, about 1 to 2 hours, checking the seasonings occasionally. When the sauce has thickened, remove from heat and let cool slightly. Remove the bay leaves. Working in batches, puree the sauce in a food processor or blender until smooth. Pour into airtight containers and freeze for up to one month or refrigerate for up to one week. Allow the sauce to defrost overnight in the refrigerator. Put sauce in a large pot or Dutch Oven over medium heat. Add in the parmesan cheese and use the red wine to thin the sauce out to the desired consistency. Heat through and serve. Follow the directions above, except after sauteeing the vegetables, transfer everything to a crockpot. Cook on low for up to 8 hours, occasionally stirring and checking the seasonings. Toss some Make Ahead Italian Meatballs in the sauce halfway through the cooking time. Serve over pasta with a side salad and some Freeze Ahead Garlic Bread. 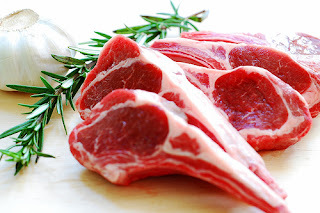 In true Italian tradition, you can also brown some pork chops, Italian sausage and/or chicken and toss that into the sauce to cook as well. It's now Sunday gravy! Omit the cheese and wine. During the last 15 minutes of cooking, add in some additional crushed red pepper, some fresh shrimp and frozen peas. Cook until shrimp is pink and peas are heated through. This is also good with an addition of some hot Italian sausage! Serve over spaghetti. Omit the cheese and wine. During the last ten minutes of cooking, add chopped, cooked bacon (as much as you want!) and 1/4 to 1/2 cup heavy cream, or until the sauce turns a desired pink color. Stir over low heat and do not allow the sauce to boil. Serve over pasta. 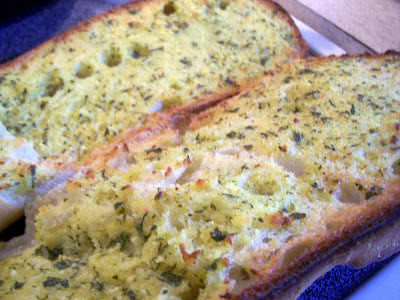 No Italian meal would be complete without a savory loaf of garlic bread. Freeze a few loaves of this ahead of time and you'll always have plenty for pasta night! 6 to 8 tbs butter, room temp. Slice bread lengthwise leaving one side intact. In a medium bowl, combine the butter, Italian seasoning and garlic. Mix well. Spread each cut side of the bread with the butter mixture. Sprinkle Parmesan cheese to taste over both sides of the bread. Close the loaf. Wrap loaf in tin foil. Label and refrigerate for up to 3 days or freeze for up to one month. Allow bread to thaw overnight in the freezer, if desired. Preheat oven to 400 degrees. If bread is frozen, loosen the foil and bake for 15 minutes. Open up the bread so the cut sides are exposed and cook for approximately 15 more minutes. If bread is coming out of the refrigerator, cut cooking time down by about 10 minutes. Slice into 1" slices on the diagonal and serve.